Consider this a personal invitation to let out your held back tears while at My Lyme Symphony. Seriously. Tears are very healing and have different functions in the body. They help us process loss and grief. Equally, they help us to express profound joy and relief. Chemically speaking, tears act as a safety valve by releasing excess stress hormones such as cortisol. Dr. Judith Orloff, M.D. wrote a really good article about all of this entitled, The Health Benefits of Tears. It's worth reading. I believe it was quite intentional that God gave us the ability, and the gift, to cry. Tears speak the truth of our hearts when the struggle or pain is just too great and overwhelming. They are a unique voice all their own because tears express what words often cannot. They give value to our experiences. Lyme is very taxing and we often find ourselves battling through one thing or anther. But we need to be kind to ourselves in this healing journey. We need to honor our God-given tears when they come by allowing them expression. 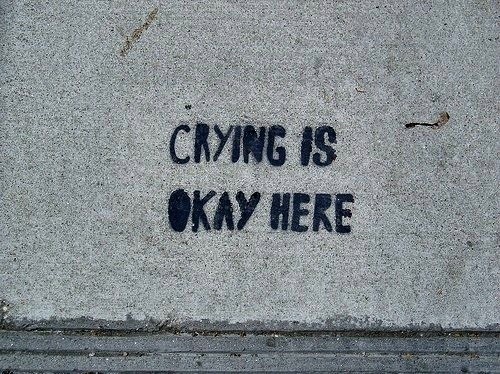 Please know that crying is perfectly okay here. In fact, I encourage it.